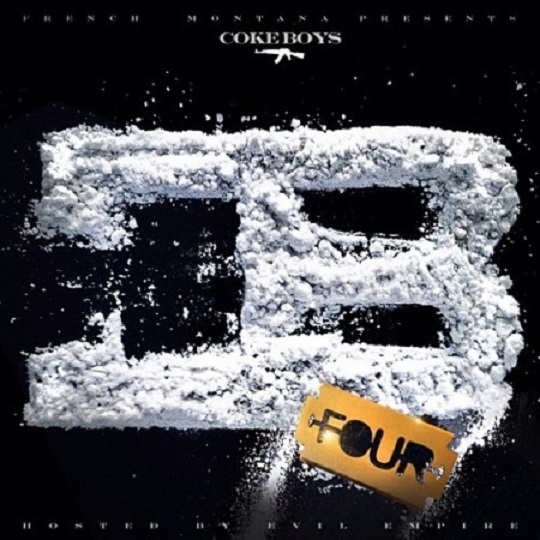 French Montana serves up his latest project with the fourth installment in his Coke Boys mixtape series. The New York rapper’s mixtape comes equipped with some highlight features from the likes of Chinx Drugz, Lil Durk, Diddy, Rick Ross, Jadakiss, Lana Del Rey, Snoop Dogg, Wiz Khalifa and more. CLICK HERE to download Frenchie’s Coke Boys 4 and check out the official tracklist for full details. This entry was posted in Music and tagged bad boy, coke boys 4, French Montana, hip hop, mixtape, rap. Bookmark the permalink.